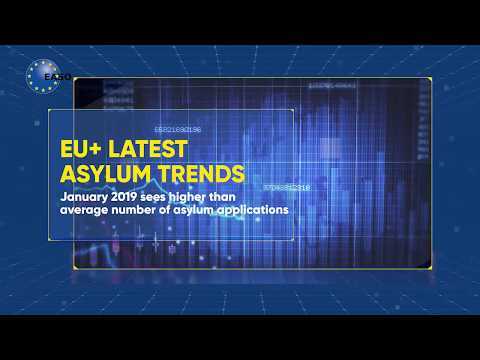 At the end of July 2017, the European Asylum Support Office and the Italian authorities signed the Amendment to the EASO Operating Plan to Italy. EASO has started cooperating with the Italian Ombudsperson for Children and Adolescents (Autorità garante per l'infanzia e l’adolescenza) implementing further support measures related to the guardianship system in Italy. Italy is one of the main receiving countries for unaccompanied children in Europe. More than 12 500 children have arrived to Italy via the Central Mediterranean route in the first seven months of 2017, following a total of almost 26 000 arrivals of unaccompanied minors registered in 2016. In order to address the needs of this particularly vulnerable group and to secure their best interest as a guiding principle in all procedures including asylum and reception system, a new law (Law 47/2017 on protection measures for unaccompanied children) entered into force in May 2017. One of the main changes is the introduction of the possibility for private citizens, selected and duly trained, to become volunteer guardians. EASO will work together with the Italian Ombudsperson for Children and Adolescents in order to strengthen the implementation of these protection measures of unaccompanied children. The areas of cooperation will include a national awareness-raising campaign aimed at recruitment of volunteer guardians, providing support in their selection and training in some targeted regions, as well as development of relevant practical tools and counselling. The exchange of best practices will be also part of this cooperation. The Italian Ombudsperson for Children and Adolescents is an independent institution introduced by Law 112/2011 aiming at protecting and promoting children’s rights. According to the Law 47/2017, this authority is in charge of the selection and training of the volunteer guardians in those regions where a Regional Ombudsperson has not yet been appointed. EASO’s support granted to the Italian authorities is foreseen and regulated by the single Operating Plan for 2017, including support to the relocation procedure and family reunification under Dublin Regulation (by pre-identification, information provision, registration and handling of Dublin request) and activities related to country of origin information.